HEY APATHY! Art Gallery of Ontario Limited Edition T-Shirt Design in celebration of the grand re-opening. “The City of Gears!” exclusive wrap around design depicted various characters and landmarks from the city of Toronto. Many recognizable faces such as artists, musicians, local celebrities, and regular denizens from the Queen Street West neighborhood were included in the drawing. The work rendered the city as a giant gear propelled by all the people moving through it. Not only does the work depict characters such as artists or celebrities but it also shows the unseen heroes of the city. One example found in the design is the caricature of “Mike on the Bike”. “Mike on the Bike” is known in the downtown Toronto area for carrying food around the city on his bike in order to give it to people who are unable to attend the soup kitchens and free lunches themselves. His route often includes the hospitals and the homes of the disabled and elderly. 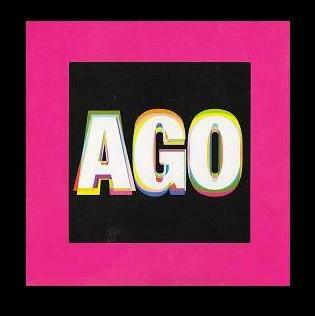 In 2008 the A.G.O. celebrated it’s grand re-opening and redesign by architect Frank Gehry. As part of the festivities the museum commissioned 5 Toronto artists to design unique T-Shirts. The artists were given complete creative freedom using a selection of designer cuts and inks as their artist’s materials. The design was featured on a fully covered short sleeve lady’s cut with embossed inks and limited to an edition of 200. The shirts were featured during the gala grand re-opening.